Weight. Fiber. Finish. Feel. These are the four qualities you should consider when shopping for bed linens. What about thread count, you ask? Isn’t that the most important thing to consider? According to luxury linen maker Sferra, the answer is no. Thread count refers to the number of threads per square inch of sheeting, but a high thread count won’t necessarily provide the comfort you seek. Here is a quick primer to help you get a good night’s sleep . . .
” ‘I like the serenity of pure white linens and very soft, muted colors,’ [homeowner Brooke] Davenport says of the master bedroom. The custom headboard is upholstered in a Scalamandré linen . . . Cocoon silk duvet over Sferra bed linens.” Design by Brooke Davenport. Photo: Victoria Pearson. “A Young Family’s Dreamy White Los Angeles House” by Frances Schultz. House Beautiful. “Weight” is the heaviness or lightness of a fabric. Some people prefer lighter sheeting during the summer and a heavier weight during cooler seasons. Others require light weights all year round. Consider your preferences when selecting your bedding. 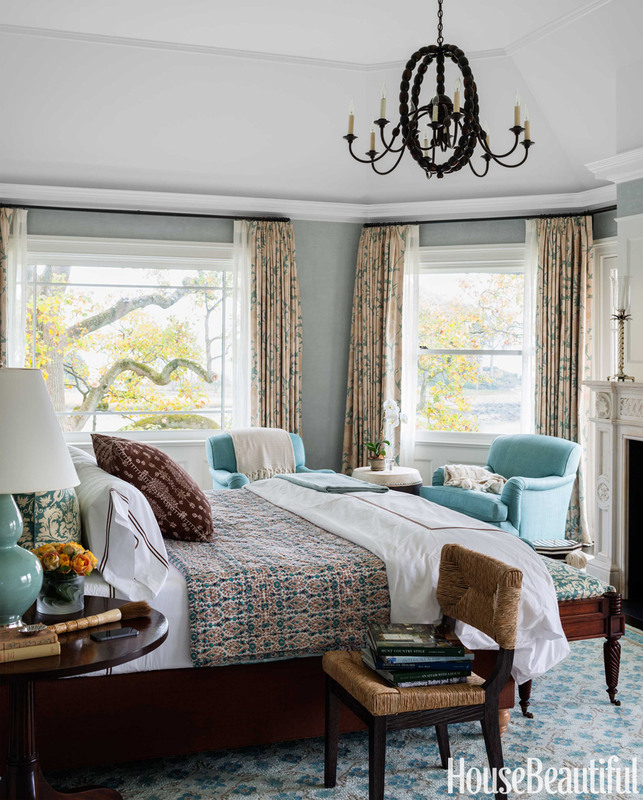 “In the master suite, the bed is dressed with a skirt of Dedar fabric and Matouk linens . 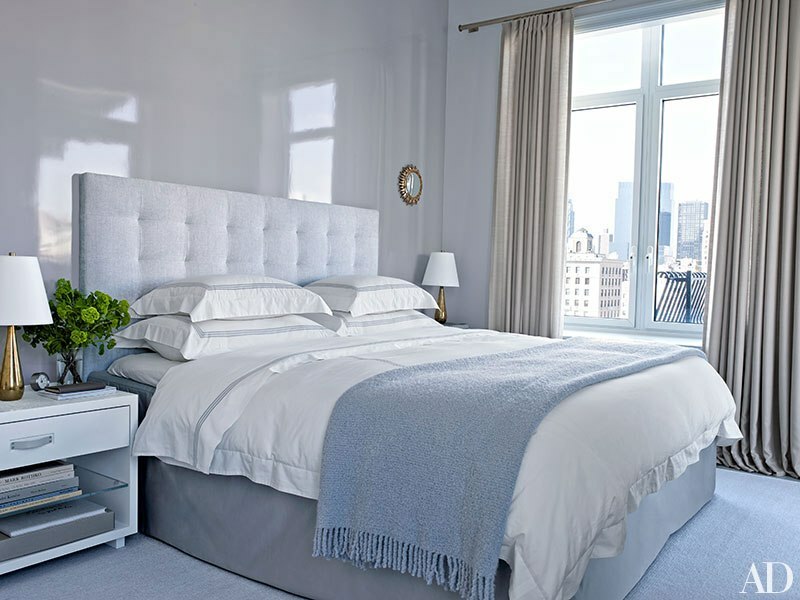 . . and the walls are painted in Benjamin Moore’s ‘Sterling’ gray.” Manhattan penthouse. Design by architect Lee F. Mindel of Shelton, Mindel and Associates. Photo: William Waldron. Text: Dan Shaw. “Shades Apart” produced by Anita Sarsidi. Architectural Digest (January 2015). 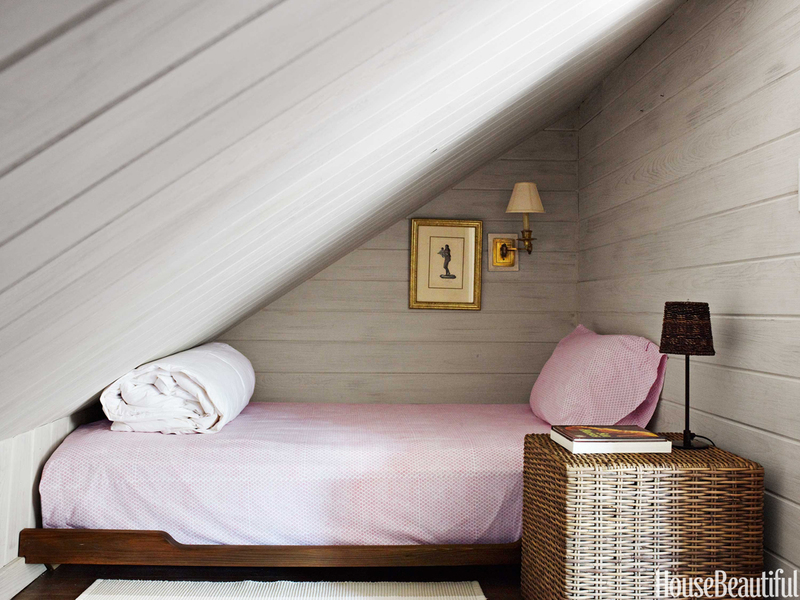 “An extra bed is tucked under the eaves in one bedroom. Linens, John Robshaw.” Design by Amanda Lindroth. Photo: Francesco Lagnese. “This is Every Horse-Lover’s Dream Home” by Christine Pittel. House Beautiful. The finish, which determines a fabric’s color, luster, and feel, refers to the way a fabric is treated after it is woven. 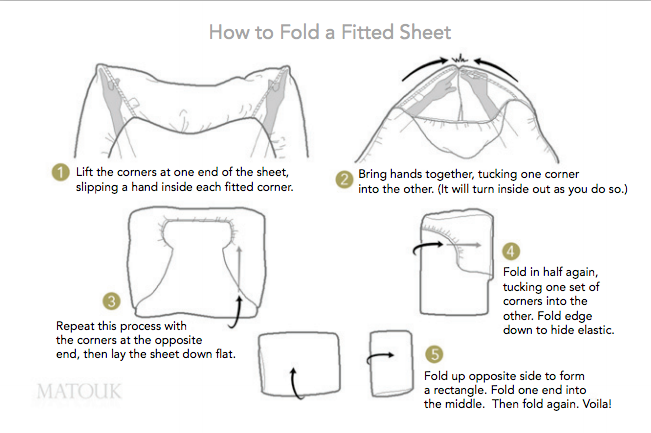 Sferra’s exact finishing process is a secret, but its sheets become softer and more luxurious with use. “In the master bedroom, a vintage Indian tapestry from Vajra Tibet hangs above a bed dressed in linens by Signoria and Matouk; the coverlet is an antique wedding sari.” [Janet Brown Interiors sells kanthas, which are throws made from recycled saris.] Design by Elaine Griffin. Photo: Joshua McHugh. “A Harlem Brownstone’s Vivid Transformation” by Nancy Hass. Elle Decor. The final consideration one should make when selecting sheeting is simple, yet subjective. How does the sheet feel to you? 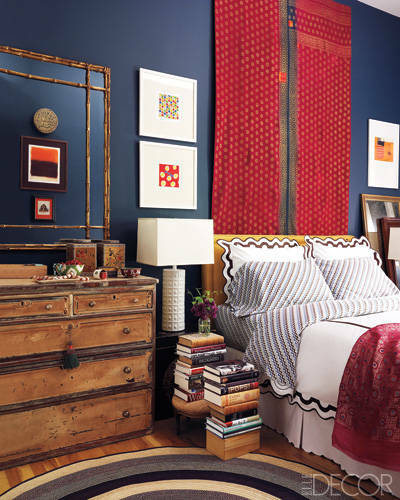 “The palette in the master bedroom picks up the colors outdoors. Venetian plaster walls are in a custom aqua. John Robshaw bed linens.” Design by Lee Ann Thornton. Photo: James Merrell. “Why Blue and White Will Never Go Out of Style” by Barbara King. House Beautiful. 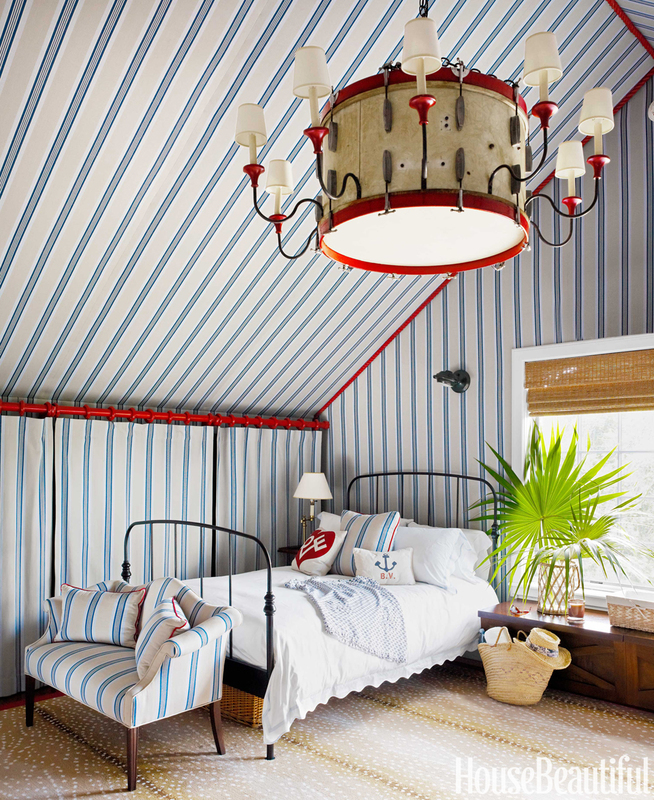 “Stripes galore for the young boys’ bedroom: Phillip Jeffries’s Island Raffia wallcovering, Matouk bed linens.” Design: Amanda Lindroth. Photo: Thomas Loof. 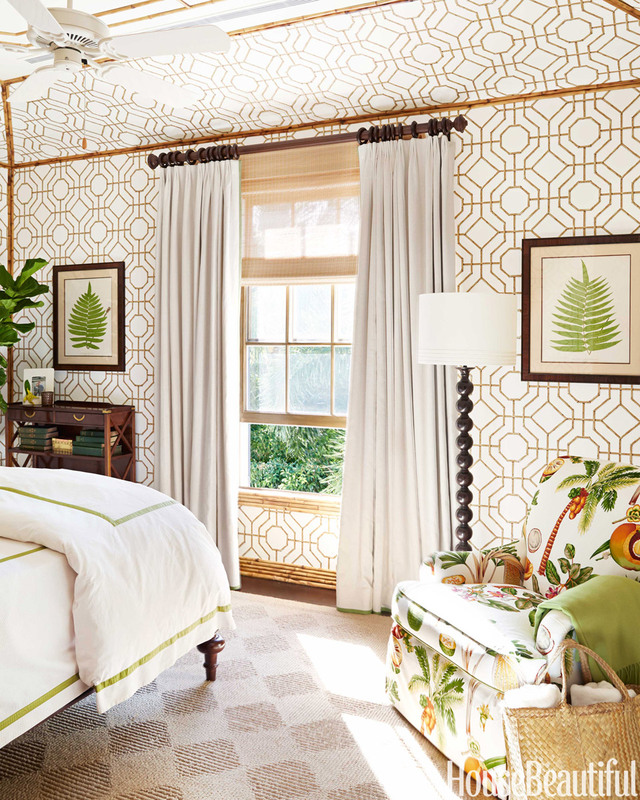 “An Old-Fashioned House Gets a Dose of Seaside Glamour” by Barbara King. House Beautiful. “Matouk bed linens. Antelope AX rug by Stark.” Design by Amanda Lindroth. Photo: Francesco Lagnese. “This is Every Horse-Lover’s Dream Home” by Christine Pittel. House Beautiful. “The ‘wow’ effect of Cowtan and Tout’s Bamboo wallpaper is heightened by applied bamboo trim that frames the room and extends onto the ceiling. Matouk bed linens and curtains in Norbar’s Ozone add the ‘luxury of white,’ McMakin says. Floor lamp, Jamie Young.” [Jamie Young lighting is available through Janet Brown Interiors.] Design: Mimi McMakin and Ashley Sharpe of Kemble Interiors. Photo: Melanie Acevedo. “Tour a Colorful and Whimsical Winter Escape in Palm Beach” by Lisa Cregan. House Beautiful. 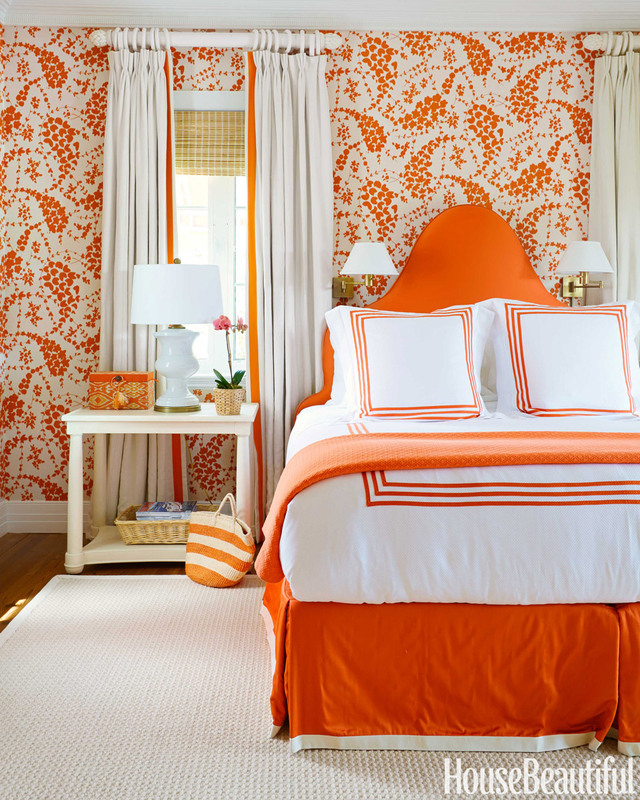 “Spicy orange energizes the master bedroom. China Seas’ Lysette linen covers the walls, and the headboard is upholstered in a Norbar canvas. Meridian bed linens, Matouk.” Design by Amanda Lindroth. Photo: Thomas Loof. 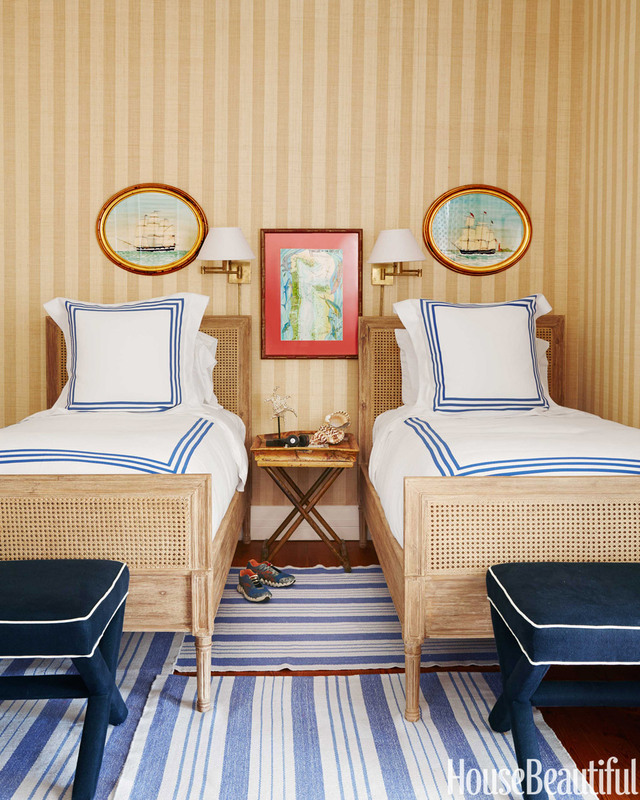 “An Old-Fashioned House Gets a Dose of Seaside Glamour” by Barbara King. House Beautiful. 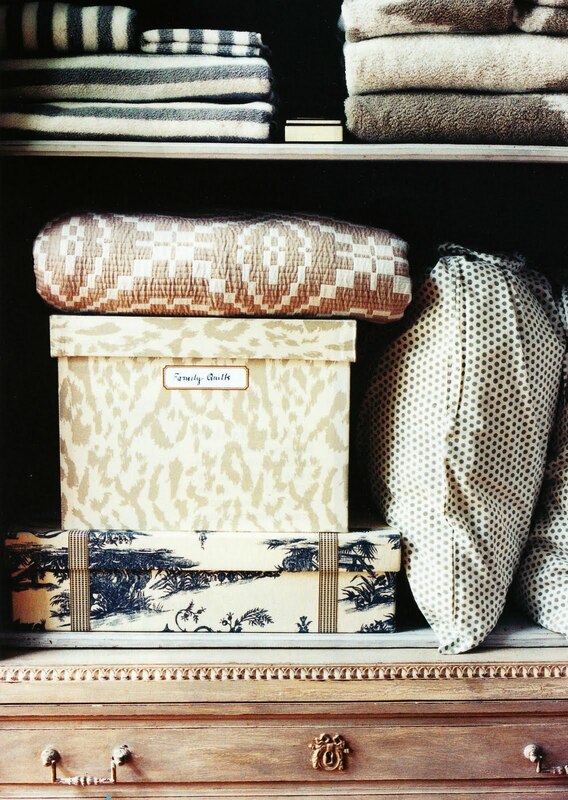 Proper care and storage will make your luxury linens more luxurious over time. 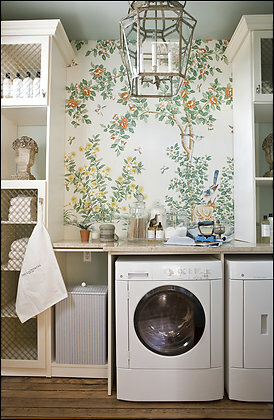 Hand-painted [Gracie] wallpaper, custom storage and a designer chandelier. Design by Draza Stamenich. Photography by Gordon Beall. “D.C. Design 2009 – A Little Luxury as You Launder” by Liz Seymour. The Washington Post (April 16, 2009). Here are some laundry tips from Sferra: Machine wash your linens. There is no need to dry clean them. Wash your linens before the first use. Separate them from other items and use warm water on a gentle cycle. Cold water rinse. Use a mild detergent. No chlorine bleach. Use a low heat setting for the dryer and remove them promptly. Fine sheets usually dry in 15 minutes. 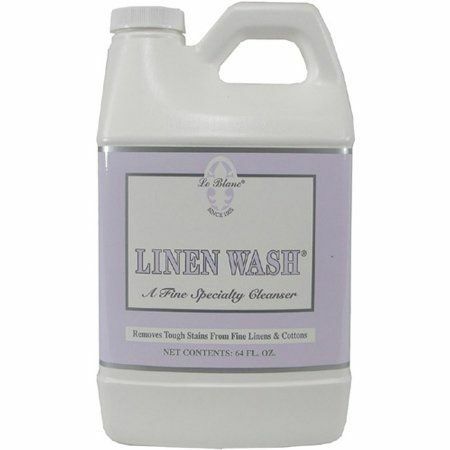 Sferra recommends Linen Wash detergent, which is available at Janet Brown Interiors. Environmentally-safe Linen Wash removes tough stains such as lipstick, red wine, ink, pet stains, blood and coffee from fine linens and cottons. This cleanser contains no bleach, caustics, enzymes, phosphates or sulphates, and it is not tested on animals. Sferra says there is no need to iron your linens, but if you do, use a steam iron on a warm/hot setting while the linens are still slightly damp. “Keep oft-used sheets where they’re easy to grab; blankets and other seasonal items can go on harder-to-reach low or high shelves. Surplus comforters or delicate quilts live dust-free in a gorgeous box. Miscellaneous pieces like bed skirts or orphaned pillowcases are simple to locate if grouped or placed in a pretty fabric-covered box.” Photo: Bahar Yurukoglu. Market editor: Jennifer Condon. 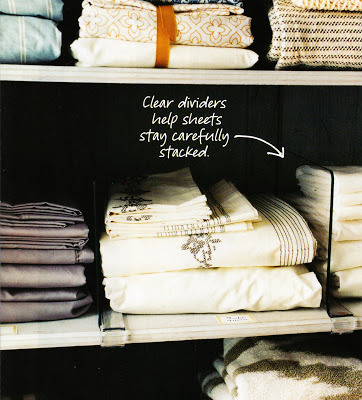 “Organize Your Linens,” Domino (September 2008). Store your bedding in a cool, dry, well-ventilated area. Avoid plastic bags or boxes or cedar chests. Natural fibers need to breathe. “Sort linens by set and label by room. Make tags so everything returns to the same place. Tie less frequently used fancy guest sheets with a ribbon, so you can readily pull them from the middle of the bunch.” Photo: Bahar Yurukoglu. Market editor: Jennifer Condon. “Organize Your Linens,” Domino (September 2008). Janet Brown Interiors will host its Annual Linen Sale February 4th through March 4th. The storewide sale will include bedding, blankets, duvet fillers, bed pillows, throws, shower curtains, towels, table linens and placemats from manufacturers including Sferra, Matouk, Lulu DK for Matouk, John Robshaw, Eastern Accents, Abyss and Habidecor and Garnier-Thiebaut. Special orders will be 20% off. In-stock items will be 25 – 60% off. Let the friendly staff of Janet Brown Interiors help you make your bed (and set your table)!